Join us in Los Angeles on March 2, 2018 at The Cathedral for The Rebuilding Wealth through Homeownership Conference. This conference completes the series of leadership conferences held across the state. 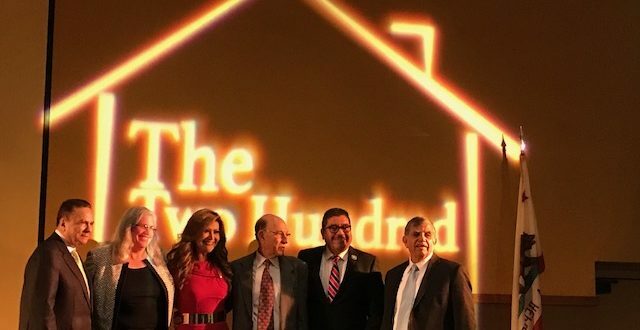 Its purpose is to educate and add up to five hundred more minority and other community leaders into our housing policy and advocacy organization. The conference features policy experts that discuss the impact of the housing shortage on California’s economy and its residents. It details the obstacles to housing construction and how working together we can produce practical policy solutions to overcome them. California Community Builders and housing advocates CA YIMBY, YIMBY Action, California Coalition for Rural Housing, California Forward, CAREB, Community Housing Opportunities Corporation, Ventura County Community Development Corporation, Korean Churches for Community Development/Faith and Community Empowerment, Capital Direct Funding, California Journal for Filipino Americans, Latino Builders Industry Association, Community Development Corporation, and the Inland Empire Latino Coalition are hosting a Gubernatorial Candidates Forum on housing and homeownership on January 25, 2018 at the City Club in Los Angeles. 200 community leaders will hear directly from the candidates what plans and ideas they have to address the housing crisis endangering California’s future economy. This 14 minute video exposes how loopholes, in the California Environmental Quality Act (CEQA), are utilized to obstruct or block private and public projects. These loopholes are often used by Not-In-My-Backyard (NIMBYS) to block unwanted developments in their neighborhood like affordable housing or public schools, veterans homes, etc., sometimes with racial and class overtones. CEQA is all too often used by a few unions to extort project labor agreements on housing developments thereby increasing construction costs.